On the edge of the South Downs National Park in West Sussex, sits this original stable building within the grounds of Mr Venn’s home; the building is being developed into a two bedroom holiday cottage. this has made for an extremely oversized door but a stunning feature. 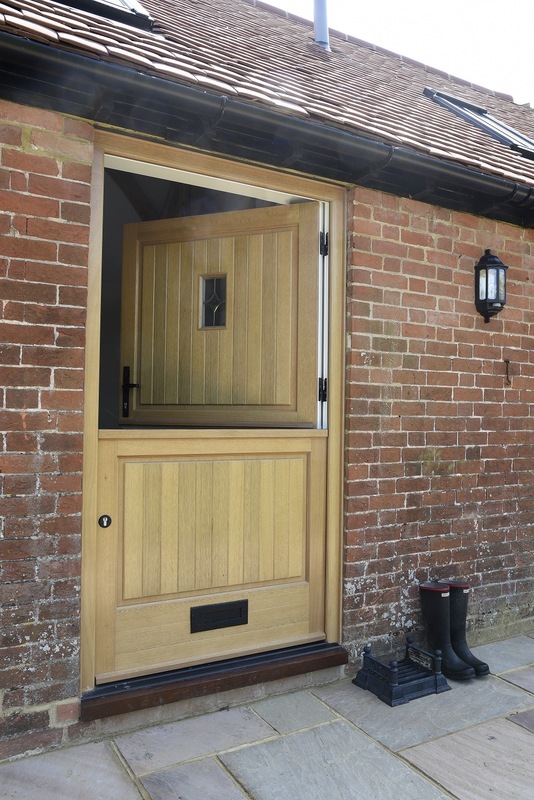 The stable door is manufactured in Meranti hardwood at 2.2 metres high and 1.2 metres wide with a ‘Light Oak’ stain finish and antique black ironmongery. 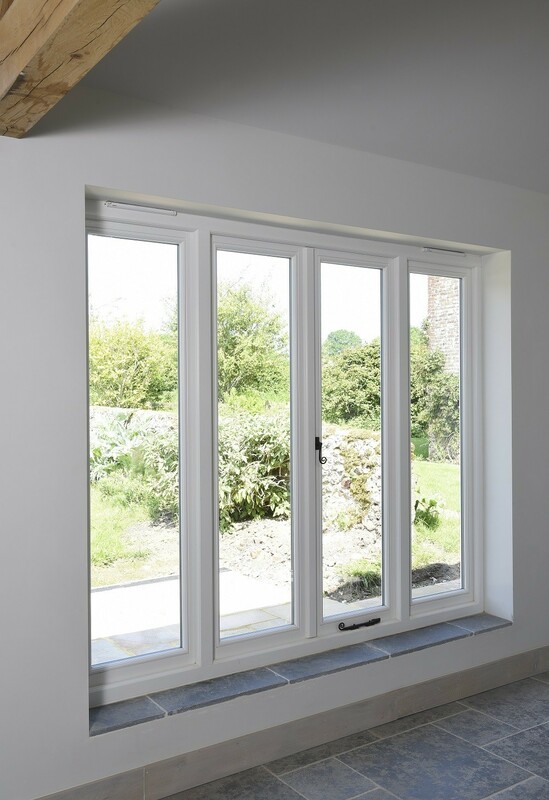 Elsewhere the flush casement windows are finished in ‘White’ with Monkeytail ironmongery in various sizes and proportions to suit the original openings of the building. 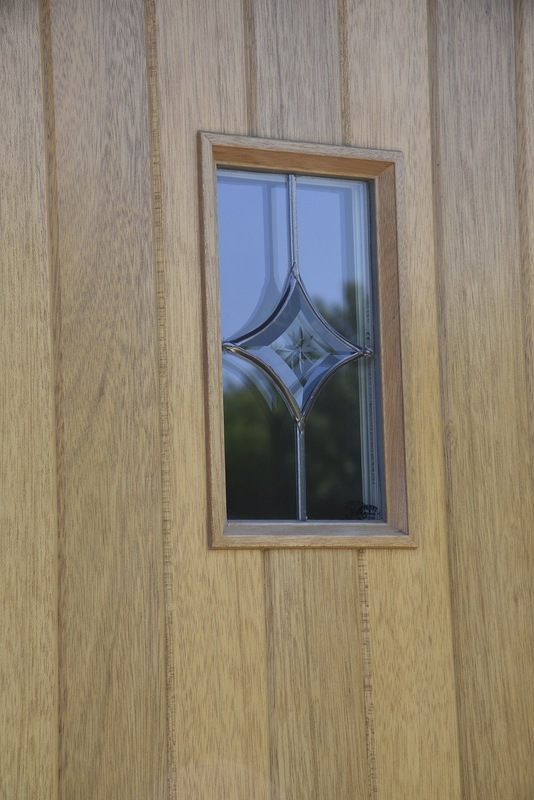 “so we have been gradually replacing the windows in the house with new ones from Timber Windows too.